The concept of leadership has been in the forefront of many discussions since the presidential election. What is the importance of leadership, and what does it take to be a good leader? You can learn about leadership and your potential as a leader in the field of aging by participating in ASA's Leadership Institute. 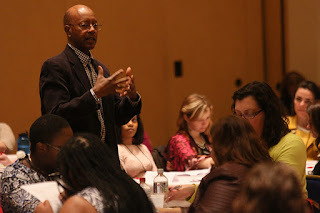 This five-day leadership development intensive offers self-assessments of communication and leadership styles, presentations by recognized leaders in the field of aging, facilitated dialogue, networking opportunities, leadership literature and online learning. Program components are carefully designed to prepare the next generation of leaders in the field of aging. This unique leadership development opportunity is open to all professionals in the field of aging who have at least three to five years’ experience and a strong interest in building personal leadership skills and capabilities. Successful participants will earn a Leadership Institute Certificate of Completion and up to eight CSA CEUs. The 2017 ASA Leadership Institute will primarily take place during the Aging in America Conference in Chicago, March 20-24, 2017. Join us to take the next—and possibly most important—step in your career. Learn more and register today. Registration closes February 20, 2017 and space is limited. To find out more on the 2016 Leadership Institute and Aging in America Conference from first person experience, visit the AgeBlog. As we age, it becomes increasingly important to protect our lungs and be aware of potential life threatening symptoms. It’s common to become out of breath more frequently and even cough more regularly, but these could also be signs of serious diseases and illness like mesothelioma, lung cancer and COPD. Being educated on the risk factors and early symptoms can lead to an earlier diagnosis for these diseases, which also means a much better prognosis. Mesothelioma is a rare cancer caused by exposure to asbestos. Asbestos is a natural fiber that can be found in the environment, but has also been widely used in construction and manufacturing of various products because of its fire resistant properties and durability. 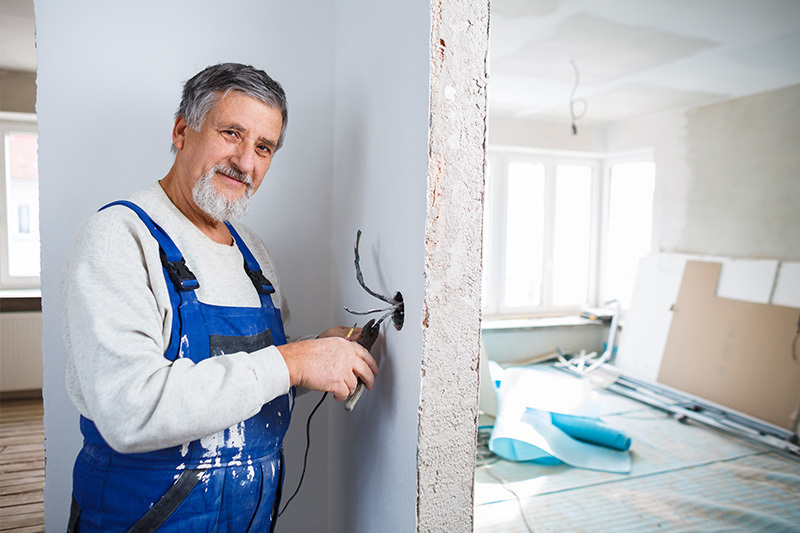 When disturbed, asbestos fibers can be inhaled and they then attach themselves to the lining of our organs. Because of their durability, our bodies are unable to break down the fibers and eliminate the danger. Instead, they remain an unrecognized threat until after a long latency period of anywhere from 10 to 50 years when symptoms first begin to show. This long latency period, as well as unspecific symptoms, makes diagnosing mesothelioma extremely difficult. Though it has different types, the most commonly diagnosed is pleural mesothelioma, meaning in the lining of the lungs. Pleural mesothelioma first shows symptoms like shortness of breath and chest pain, which resemble common illnesses like the flu or pneumonia. Thus, it can take weeks or months before an official mesothelioma diagnosis can be made. Often by this point, the disease is already in a later stage that is much more difficult to treat. 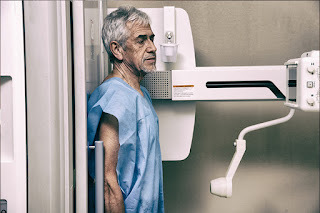 Awareness is very important for those who might have been exposed to asbestos because earlier diagnosis is the best way to better the generally poor prognosis for mesothelioma patients. Those between the age of 50 and 70 are most commonly diagnosed, especially veterans or those who have worked in an industrial setting. Being educated allows those at risk to have an open dialogue with their doctor to hopefully detect mesothelioma early on. Lung cancer is a leading cause of cancer deaths in both men and women. Non-small cell lung cancer is the most common common type, making up about 85% of diagnoses. Each year there are over 200,000 new cases of lung cancer, and over 150,000 die from this disease annually. Smoking is the leading cause of this cancer, though non-smokers are also at risk. Exposure to radon, secondhand smoke, air pollution, as well as workplace exposure to asbestos and other toxins, can all cause lung cancer. This type of cancer is most common in seniors; 2 out of 3 people diagnosed are over the age of 65, and on average diagnosis occurs at age 70. As with mesothelioma, most don’t experience symptoms until the cancer has already progressed to a later stage. Common symptoms include a cough that won’t go away, shortness of breath, chest pain and frequent infections in the lungs. Again, these symptoms also align with pneumonia or allergies, so patients sometimes go undiagnosed for a long time. Understanding the risks and symptoms can lead to earlier diagnoses through screenings and better prevention. Chronic Obstructive Pulmonary Disease (COPD) is a progressive disease that makes it increasingly difficult to breathe. It’s an umbrella term for several lung diseases, like emphysema and chronic bronchitis. COPD is most often diagnosed among smokers, but environmental factors like pollution and exposure to other toxins, as well as genetics, can also cause COPD. 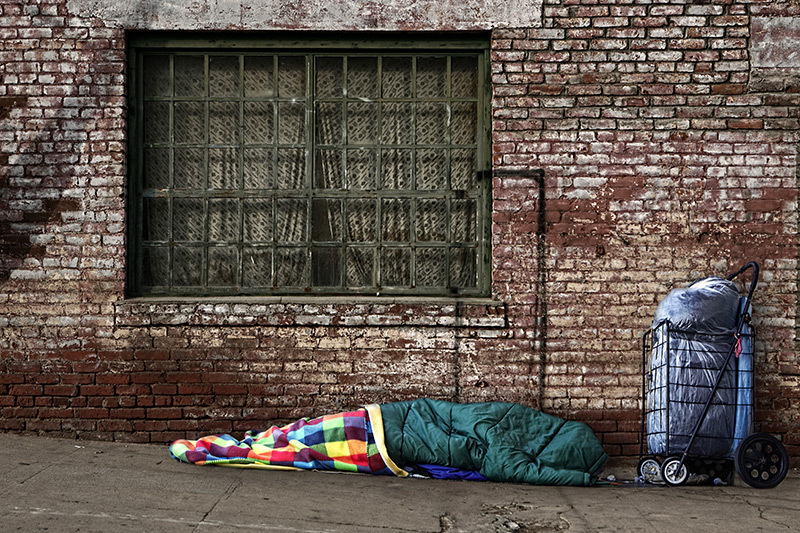 It develops slowly over time, so many don’t even realize they have it. Like both lung cancer and mesothelioma, the symptoms include shortness of breath, wheezing, and tightness in the chest. An estimated 30 million people have COPD in the United States, and it’s the third leading cause of death. COPD, like the previously mentioned diseases, has no cure. But being proactive and removing lung irritants--like quitting smoking if you are a smoker and avoiding dust and harmful fumes--as well as maintaining a healthy, active lifestyle can slow down COPD’s progression. It’s important to keep a lookout for signs of COPD early on and get screened if you are at risk. Education is the first step to preventing all of these serious health risks. Keep track of any worrying symptoms you might have and maintain an open dialogue with your doctor. Even if the symptoms you’re experiencing might seem normal, like taking a while to catch your breath after a lot of exercise, it’s always good to keep your doctor up to date with what you’re experiencing. Our lungs are vital to being able to live a long, healthy life, so be proactive and help protect them. Tonya Nelson is a health advocate working to raise more awareness for rare cancers in the hopes of seeing better treatment options for patients. "Mesothelioma," Mesothelioma + Asbestos Awareness Center. "Mesothelioma Diagnosis," Mesothelioma + Asbestos Awareness Center. "Mesothelioma Prognosis," Mesothelioma + Asbestos Awareness Center. "What is Lung Cancer?" National Institutes Of Health. "Non-small cell lung cancer risk factors," American Cancer Society, Inc.
"Key statistics for lung cancer," American Cancer Society, Inc.
"What Are the Symptoms of Lung Cancer?," American Lung Association. "What is COPD?," COPD Foundation. "What Is COPD?," National Heart, Lung, and Blood Institute (NHLBI). The popular social media site for teens and preteens lets you have fun with your selfies or other portraits. When your children stopped replying to your emails, you realized you had to learn how to text. Now your grandkids are passing around their phones during family dinners, laughing and giggling. When you ask them what’s so funny, they show you photos of themselves with a red nose and whiskers. They tell you they’re using something called Snapchat. So now do you have to learn another piece of technology so you can communicate with your grandkids and be as cool as possible at your age? Snapchat is a social media site that teens and preteens love. 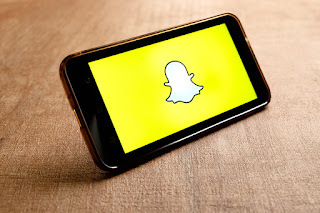 One of the reasons for its popularity is that the snapshot, called a “Snap” in Snapchat parlance, disappears 10 seconds after the intended viewer receives it. That means that any possibly risqué photos sent, from girl to boy, for example, won’t be around for nosy parents to see and find reasons to ground their daughter. Think of Snapchat as a playful selfie that you can alter by using Snapchat’s drawing and filter functions or its “lenses” to add masks and other fun effects. You can take photos of friends or pets, too, but the emphasis is on the face and all the creative things you can do with it. You can also take and post a video to send to a specific friend. Or you can use the “Stories” section to post photos and videos that you want to share with all your friends. Postings on this more permanent site will last 24 hours. Filters. Over your photo, layer a colored filter or one that relates to the current holiday or the weather. You can also add a Geofilter, which reflects your current location’s information, such as the air temperature. Snap lenses. One of the more popular features of Snapchat is the set of animated lenses you can choose to alter your face (or someone else’s). While taking a photo, you can choose from different lenses. For example, your face can appear wearing a cat’s whiskers and ears, a garland of flowers might appear on your head, or leaves will start falling all around you. You might be instructed to open your mouth so your face better matches the lens you’ve chosen. Draw. With the pencil icon, you can choose a colored marker to draw with—maybe tint your hair a different color or add a moustache. Why not throw some stars in the sky or add some flying birds? Stickers. Choose from nearly 300 cartoon stickers to indicate your mood—everything from a heart to a peace sign to a gloomy face. Or you can create your own “bitmoji” sticker. If you think you want to try Snapchat, go to the Snapchat website and install the app on your device, such as a smartphone. Next, provide your birthday by scrolling through the date, month and year until you find yours. Next, pick a name—not your real one (that’s so uncool), but one that is fun. Be aware that Snapchat doesn’t allow you to change your name once you’ve chosen one. Last, provide a password and your email address. Now you’re ready to join your grandkids in selfie fun. “How to Use Snapchat: A Guide for Beginners,” July 25, 2016, Hootsuite. “Snapchat 101: what it is and how to use it,” Verizon Wireless. “How to Use Snapchat,” April 6, 2016, Wired. Williams got a second Golden Globe nomination for starring in Sidney Lumet's Prince of the City (1981) and a third for his performance as Stanley Kowalski in the television presentation of A Streetcar Named Desire. 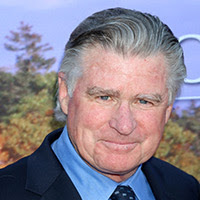 In 1996, Williams was nominated for a Best Actor Emmy Award for his work in The Late Shift, an HBO movie in which he portrayed agent Michael Ovitz. In 1996, he played villain Xander Drax in Paramount's big budget comic book adaptation The Phantom. Williams may be best known for his leading role as Dr. Andrew Brown in the WB television series Everwood, about a New York City neurosurgeon who moves his family to Colorado. Although the show's ratings were never spectacular, it won critical acclaim and had a devoted following. Williams' career includes numerous stage roles. He won a Drama League Award for his work in the Broadway revival of Stephen Sondheim's Follies and another for starring in the off-Broadway production of Captains Courageous. Other notable Broadway shows include Grease, the Sherman Brothers' Over Here!, Once in a Lifetime, Pirates of Penzance and Love Letters. Williams has also worked as a director, winning two festival awards for directing Texan in Showtime's Chanticleer Films series. He is also a commercial pilot and flight instructor. In 2010, he published a children’s book titled Air Show! The retired race car driver is one of three men to be 4-time winners of the Indianapolis 500 (1979, 1984, 1988, 1991) and the current record-holder for pole positions in the race with six (1979, 1982, 1986, 1988, 1989, 1991). Mears is also a 3-time Indycar series/World Series champion (1979, 1981 and 1982). Mears began his racing career in in Bakersfield, Calif., with off-road racing, but switched to Indy Car racing in the late 1970s. In his initial appearance at Indy, Mears was the first rookie to qualify over 200 mph and won his first "500” in 1979. 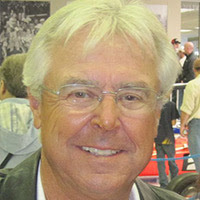 The 1981 and 1982 seasons saw two more championships for Mears. Despite facial burns during a pit fire in the 1981 Indianapolis 500, Mears' 10 race victories in the 2-year span were enough for another two Indycar championship titles. At the 1982 Indianapolis 500, he came within 0.16 of a second of adding a second Indy win. Mears scored his second Indy win in 1984 but suffered severe leg injuries later in the year in a crash. After that, injuries to Mears’ right foot slowed him down and affected him throughout the remainder of his career. Over the next three seasons, he won only two races. He completed a comeback from his injuries by winning the 1985 Pocono 500. In 1988, his team used a new car, the PC-17, to win the Indy 500. The last race of 1989 set Mears apart from all other Indycar racers as he broke a tie with Bobby Rahal for race wins and became the most successful Indycar racer of the 1980s. In August 1991, at Michigan, he won his last race. In 1992, at the age of 41, he announced his retirement from racing Indycars. Mears continues to work as a consultant and spotter for Helio Castroneves and Penske Racing, the team with which he won all of his Indycar races. Although the actress has appeared in numerous films (including City Slickers, Guilty by Suspicion and The Langoliers), Wettig is best known for her work on television. She received critical acclaim (and a number of awards) for her role as Nancy Weston on ABC's thirtysomething (1987-1991). Her portrayal of Nancy's cancer struggle attracted considerable acclaim and attention. She also portrayed Joanne McFadden on the television program St. Elsewhere (1982-1988). In addition, Wettig appeared in a numerous popular television programs during the 1980s and 1990s, including L.A. Law, Frasier, Hill Street Blues and Remington Steele. 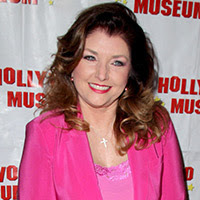 Wettig starred in the ABC comedy-drama series Brothers & Sisters, which aired from 2006 to 2011, where she portrayed the Walker family patriarch's mistress, Holly Harper. She also had the recurring role of CIA psychotherapist Dr. Judy Barnett on Alias. Before joining Brothers & Sisters, Wettig played the fictional Vice President Caroline Reynolds on the 2005 Fox television drama Prison Break. In 2012, Wettig joined the national tour for Larry Kramer's production of The Normal Heart. She is married to actor and producer Ken Olin; they have two children. The actress is best known for her role as Katherine Wentworth, the scheming younger half-sister of Pamela Ewing and Cliff Barnes, in the prime time soap opera Dallas (1978-1991). Brittany began her career as a child actress in a 1957 episode of the CBS television network anthology series Playhouse 90 and was featured in the 1962 film Gypsy, as Baby June. At age 18, Brittany appeared with Gene Kelly in his Las Vegas show Gene Kelly's Wonderful World of Girls, as a dancer. After working as a model for several years, in 1976, Brittany portrayed Vivien Leigh in the biopic Gable and Lombard, the first of three occasions on which she would play the famous actress. That was followed by TV movies and television shows, including The Amazing Howard Hughes (1977), The Initiation of Sarah (1978) and LBJ: The Early Years (1987). When she appeared again as Vivien Leigh in the 1980 made-for-TV movie The Scarlett O'Hara War, she caught the attention of the producers of Dallas, who were searching for an actress to play Wentworth. Brittany debuted on Dallas in the 1981-82 season, and her role as Katherine continued, on and off, until 1984. She hosted over 100 episodes of the magazine show Photoplay, and has guest starred on other shows, including Married ... with Children; Murder, She Wrote; and The Nanny. In film, Brittany starred in the 1989 cult classic Sundown: The Vampire in Retreat. In the 1990s, Brittany appeared in independent films, including Riders in the Storm (1995), Legend of the Spirit Dog (1997) and Americanizing Shelley (2007). Currently, Brittany is a conservative political commentator and author. Her first book, which was co-authored, What Women Really Want, was released in 2014. She is a recurring guest on Hannity (Fox News) and The Rick Amato Show (One America). Brittany is a co-owner and anchor for PolitiChicks, an online news site with a conservative perspective. She now spends much of her time supporting Republican political candidates and is involved in raising funds for military/veterans organizations. so getting a flu shot is crucial. It’s that time of year again—not the holidays but the flu season. You hear people coughing and sniffling all around you. Perhaps you have been hit with it yourself—staying in bed for days, your whole body aching. How do you prevent the flu? The best way is to get a flu shot, which not only protects you but also helps prevent those around you from falling prey to this highly contagious disease. Flu protection is especially important for seniors. During recent flu seasons, between 80 and 90 percent of flu-related deaths occurred in people 65 years and older, according to the Centers for Disease Control (CDC). As we age, our immune systems become weaker and are not as able to fight the infection. Influenza, which causes fever, coughing and muscle aches, can induce serious illness, including pneumonia and bronchitis. In older adults, respiratory disorders can lead to hospitalizations and sometimes death. A risk factor for the seasonal flu is dehydration, which is a serious condition for seniors. Studies have shown that those who are immunized are less likely to become seriously ill from this respiratory illness. One study showed that people 50 years and older who got a flu vaccine reduced their risk of getting hospitalized from influenza by 57 percent. Getting vaccinated can help prevent the flu or at least help lessen the severity and length of your illness. 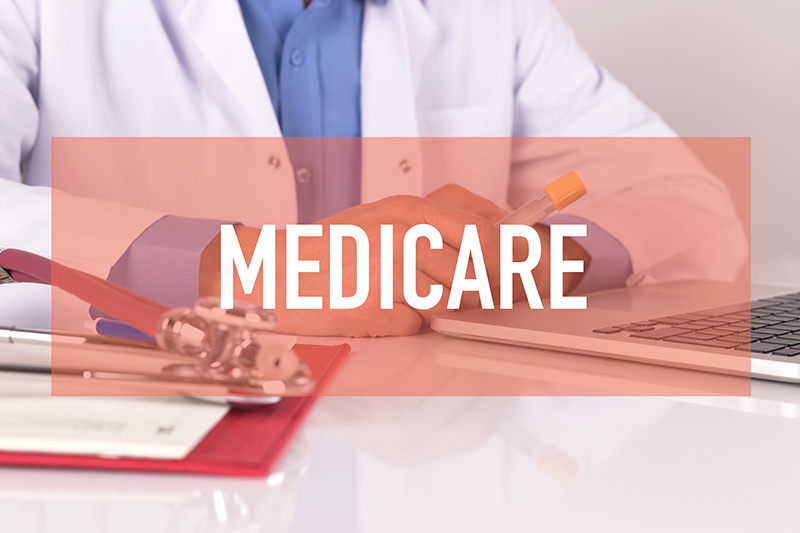 Seniors covered by Medicare Part B do not have to pay coinsurance or deductible fees for their flu shot, as long as they receive the shot from a Medicare provider. For others, most insurers are required to provide flu shots at no cost, according to requirements in the Affordable Care Act. Many insurers would rather pay for the flu shot than for the cost of you being sick. If you don't have a regular healthcare provider, you can get a flu vaccine at other, sometimes more convenient, places such as a health department, pharmacy or urgent care clinic. Often, schools, college health centers or employers offer free shots to help keep their students or employees healthy. If you have no insurance, you can get a flu shot at a chain store, such as Costco, which usually has cheaper prices than a doctor’s office. The government’s Vaccine Finder can help you find the store closest to you. Different influenza strains circulate every year, so scientists determine which viruses will be most common that year. You need to get a flu shot every year because vaccine strains are updated annually and immunity lessens over time. Getting the shot early in the flu season is best, but you can get it anytime. Influenza season runs from October through March, but peaks in January. Time is important, because it takes the body about two weeks after vaccination to develop immunity protection. Flu vaccines promote antibodies, which provide protection against infection. Traditional flu vaccines are made to protect against three viruses: influenza A (H1N1), influenza A (H3N2) and influenza B. Fortunately, those 65 and over are able to get an especially strong vaccine. Fluzone High-Dose vaccine contains four times the amount of antigen (the part of the vaccine that prompts the body to make antibodies) contained in regular flu shots, which should boost the body’s immune response. 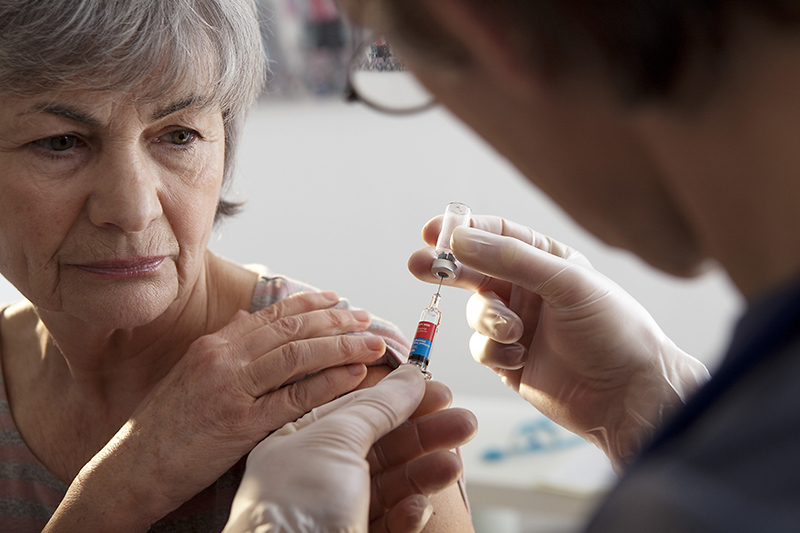 A study published in the New England Journal of Medicine indicated that the high-dose vaccine was 24.2 percent more effective in preventing flu in adults 65 years of age and older than a standard-dose vaccine. Avoid close contact with people who are sick. When you are ill, keep your distance from others to protect them from getting sick too. Clean your hands to help protect against germs. If soap and water are not available, use an alcohol-based hand rub. If you get the flu, make sure to get plenty of sleep and drink a lot of fluids. The CDC recommends that you stay home for at least 24 hours after your fever is gone. In severe cases, your physician may prescribe Tamiflu or Relenza, which are anti-viral medications that can limit the severity of the influenza infection and shorten symptoms’ duration. However, for these medications to be effective, you must take them within 48 hours of the onset of flu symptoms. “What you should know and do this flu season if you are 65 years or older,” Council on Aging. “Flu + You” National Council on Aging. 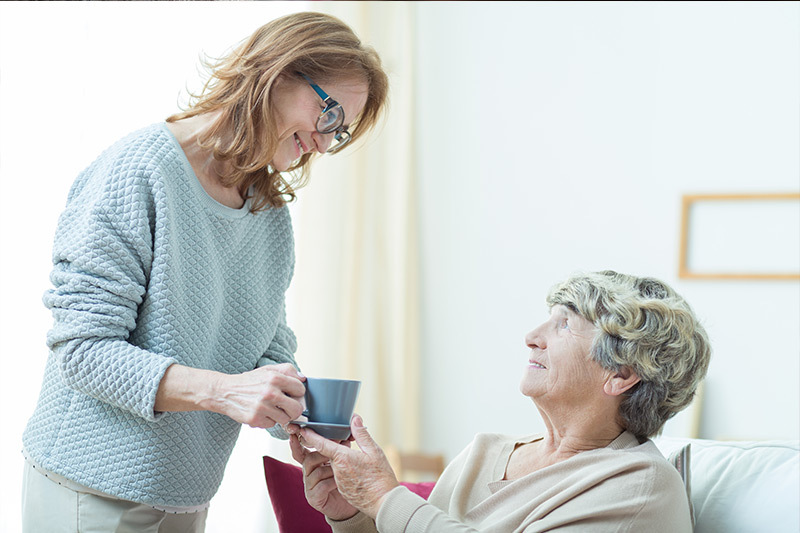 “Senior Flu Prevention and Taking Care of the Elderly,” May 6, 2015, A Place for Mom. “The Flu: What to Do If You Get Sick” CDC. “Key Facts About Seasonal Flu Vaccine,” CDC. “Preventing the Flu: Good Health Habits Can Help Stop Germs,” CDC. “What’s New for the Flu in 2016,” Oct. 19, 2016, Next Avenue.